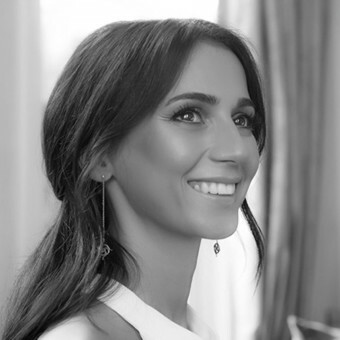 About Melike Kapıcıoglu : As a jewelry designer I like to create pieces with soul and an innate understanding of timeless and beautiful design. Romantic, timeless, and elegant… The designs of my brand are inspired by the intense emotions of epic romances and claim the enchantment of true love. Melie jewelry incorporates exquisite contemporary style with a feminine touch and has unique love stories behind. My number one priority is to create elegant and exquisite pieces became a big success with my first collection playful ‘Scent of Love’ perfume bottle pendants. With personalized unique designs, I carry precious moments and stories into a timeless, heirloom jewelry. 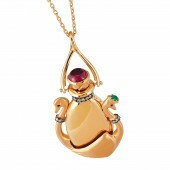 As a jewelry designer and owner of my company social responsibility is very important. As I mentioned I like to create pieces that touch the soul of jewelry lovers. Social responsibility is the same. With social projects you help some one who you do not know and somehow you touch the soul of the person you help. Braille Collection which is my second collection inspired by the alphabet created by Louis Braille in 1821 for visually blind people adds a deep meaning in love. The theme of the collection is that true love is not what the eyes see but what the soul feels... Each piece in the collection touches the soul of jewelry lovers by the word "Love" or the initials of one’s special person written in Braille alphabet. Braille Collection is one of the most admired innovative designs of the brand. Part of the revenues of Braille Collection is donated to the local Association for Blind People. Design is like a story without words, and designer, is the storyteller... A feeling, thought, or idea you want to get across, a recollection, or a person and the emotions he or she stirs in you, come together in a drawing on paper, then to be transformed into a tangible reality. Design is your reflection, and you are elated when this reflection reaches and is appreciated by people with a similar story to yours. 2007-2012 Various Jewelry Manufacturing Class both in Istanbul and London(Creating Concept, Sketching, Lost Wax Tecnique, Wax Carving, Stone setting, polishing, enamel) to learn jewelry manufacturing process. I founded Melie in 2012 following the training I received with the goal of establishing the brand since I began my workbench training in 2007. I personally took part in the creation of the brand to make sure that the brand’s visual look, delivery style, designs, and stories are consistent. Each collection I design has a special theme behind. The design assumes a personal nature when you give people the design most suitable for them, allow them the freedom to choose the gemstone that works for them, and let them add their own story to yours. In addition to the collections, special clients get to tell their own story through designs by using the right metal, stone, and color to shape the jewelry. My motivation behind creating a design that speaks to emotions, senses, and memories is to demonstrate to my clients that the jewelry they have goes beyond an ornamental object; it is a treasure that tells their stories without any need for words, and something they can leave behind for the future. Beyond its own value, a piece of jewelry finds true value with the meaning you place on it, reminding your loved ones of you in times to come. Press Members: Request an exclusive interview with Melike Kapıcıoglu.